London 1881. Phoebe Turner lives in the shadow of her widowed mother, Maud, who marches with the Hallelujah Army and campaigns for all theatres and bars to be closed. They share a home with Cissy, Phoebe’s beautiful unmarried aunt who sings on the stage at Wilton’s Music Hall. Phoebe loves the theatre and sneaks out to watch her aunt singing. When Cissy dies of an overdose, Phoebe’s world is shattered and a web of deceits spun around her begins to unravel. First, a handsome Jewish businessman appears at Cissy’s funeral. Long despised by Maud for being a Jew and for luring Cissy onto the stage, he now steals Phoebe away from her, hiring the girl as a companion for his grieving, reclusive wife, Lydia, a laudanum addict. Spirited away to his Herefordshire mansion, Phoebe finds herself haunted by Lydia and her strange sleepwalking. 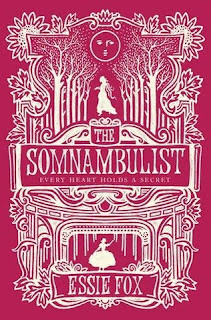 She is troubled by dreams of fresh blood in the snow and soon even darker secrets emerge… This captivating debut simmers with gothic tension as Essie Fox weaves a glorious Victorian ghost story. Det er ikke så ofte man plukker opp en bok som, både i stil, språk og innhold kunne vært skrevet på 1800 – tallet. 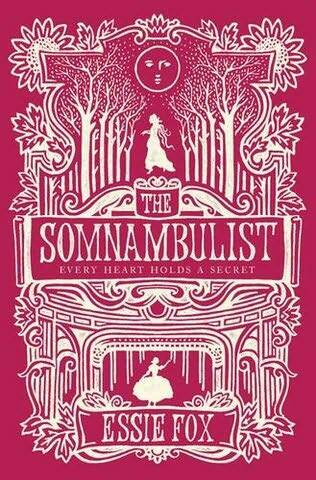 Men the Somnambulist er en slik bok. Den har klassikermateriale skrevet over hele seg. For det første er romanen meget velskrevet, og leder tankene hen på fordums diktere fra denne tidligere, nevne æra. My new life began at the end of that tunnel. The train slowed to a shuddering halt. (…)Half choked from the engine’s sooty steam, I lifted a hand to wipe my eyes, blinking hard as I watched the train depart, its carriages trailing into the gloom; a swaying necklace of blurring gold. We passed stretches of ugly industrial landscape, ramshackle tin shelters and endless successions of telegraph poles, until – so much sooner than I had expected – there were fields, with cows and sheeps and pigs, and a farmer urging on a horse, his plough cutting furrows in rich red soil. Leser du denne boken, uten å vite at den er skrevet i vår tid, vil du kunne tenke at dette er et verk skrevet av en av forfatterne som levde og virket på 1800 – tallet.